You start with a tube...: 5 Reasons people get so worked up about BD. 5 Reasons people get so worked up about BD. On our Facebook page recently, a member posted something about being concerned with the language used around BD sometimes, about the fervency with which some people talk about it as "the best", and in a corollary fashion how formula (the canned varieties) gets demonized as somehow almost - if not downright - evil. She's right, some of the language in the BD community can be a tad extreme, and I have often felt uneasy reading the odd comment or post too. It's worth looking into a little more deeply though, to explore where this sort of stridency might come from. 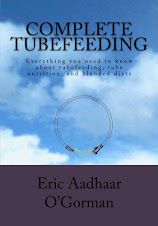 Back in the early days of my personal tube feeding journey, there really were not many resources online directly related to feeding tubes, less so to using actual food, or a 'blenderized diet' as we often say. I recall hesitating slightly to join a particular group of people, because some of the comments and language going on did indeed have just the faintest flavour of a cult thing going on. 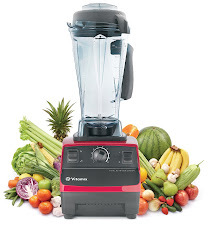 Worship of a deity-like machine called a Vitamix, and fervent praise of the benefits of things like flaxseed oil, for example. Also the occasional almost hate-post regards the evils of canned formula and the supposed 'complete nutrition' provided by high fructose corn syrup, isolated whey protein, synthetic fat and a smattering of synthetic vitamins and minerals in a can. But it was only a tiny background flavour, so I jumped in. Things have certainly grown and changed a lot since then, but the evangelical streak in some people remains. There's a lot to like about that, but that territory comes with a need for caution too, as we'll discuss. 1) Because it's a 'eureka!' moment. So many people come to BD after a long journey of frustration and struggle with tube feeding. First there's whatever necessitated getting a feeding tube in the first place, the trauma of placement, the loss of mealtimes or more 'normal' feeding as part of the daily routine and then in so many cases the inadequacy or intolerance of commercial enteral formulas. When someone makes the BD discovery and takes their first steps, and improvement at all is like a miraculous godsend - finally something is giving hope! And of course, it all makes perfect common sense to you once you see for yourself the positive changes and read the stories of others, and get across some basic truths that most doctors and dietitians still won't acknowledge about fundamental health and nutrition - that we were designed for food, and using an alternative esophagus does not have to stand in the way of that. 2) Because it's such a relief. When BD works, and improvements are seen, it's like a light switching on in the tunnel. Plus, so many people take their first steps in a supportive environment now, via online forums, Facebook groups, sites like this, and rarely but ever-increasingly with the help of a nutritionist or dietitian. People no longer feel so alone and medicalized about the whole process of feeding themselves or their loved one. The BD club is inclusive, for the most part. 3) Because people want to share good things, and 'give back'. When something great changes in your life and it comes with the help of a supportive community - a new group of friends - then the urge to help others out, to give back, comes very strongly to some. It can be a way of further bonding with what for many is a whole new way of being, a door that opened on to an entirely new relationship with the very stuff of life, food, and the gratitude some people feel is truly deep and lovely. No wonder they gush a bit. 4) Because there really is an opposition out there. When you've come to BD via a route other than a suggestion from the doctor or dietitian, when you were not made aware at first point-of-call that food was still an option, you realize pretty quickly why that is. Because there really is a lot of ignorance and flat-out opposition out there. There is resistance not just from overly-cautious medical thinking (eg "formula is 'complete' and sterile and food can get nasty and contaminated and we can't control what you're getting"), not just from natural conservatism (eg "we've been prescribing formula for years now and we know it's safe and believe it's well-tolerated"), but from subtle commercial pressures also. Remember you can sell formula, and in that sense it's just like any pharmaceutical product. It's promoted to the medicos, and incentives are given to recommend X or Y formula. And some people really rail against systematised rigidity of thinking and inflexibility of practice. Feel angry about the medical profession's tendency to operate as a controlling authority in people's lives rather than an agency of empowering patients and carers in ways that create a focus on health and wellbeing of the whole person. And thus, get a bit feisty. 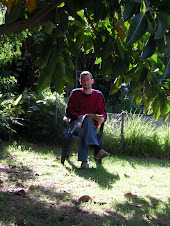 5) There's no more ardent an evangelist than a recent convert. For some people, the whole BD journey and life-change takes on an almost spiritual significance in their lives. It is true and fair to say that it has improved the lives of countless people beyond measure. The actual evidence is overwhelming, both anecdotal and now more and more surveys, studies and scientific papers are showing all manner of benefits of a blended diet made of real food for tube-fed children and adults alike, yet our community feels still like it's a fringe on the edge of the tubefeeding world. Like there's a whole oppressive weight of ignorance and needless formula dependency and consequent possible ill-health outcomes out there, and this always makes for a feeling of closeness and heightens the emotional strength of those involved in a 'cause'. So people evangelise, proselytize - spread the word. Newbies to the BD concept are often understandably cautious, usually traumatized, vulnerable and in great need of help, support and something that makes a positive difference in their lives. All of us advocating for BD really need to show care in how those seeking such help are made to feel when they see over-the-top expostulations about the evils of formula. We know that formula has been the root of so many problems for so many tubies; we know that it has actually damaged the health of unknown numbers of kids and adults, but equally we know that this is not always the case and that for many people, formula is just fine, tolerated well, and can be in some cases the ONLY thing tolerated. The last thing you want to do is badly judge someone who finds that commercial formula is a good fit for them, and does not seem to be any problem whatsoever. That is not helpful at all. Remember always that your experience will never match anyone else's about anything, ever. I believe that canned formula will never make for a complete and proper diet - but I still use it myself, because I also have a great percentage of my intake as BD, and this works well for me. I have no problem extolling the virtues of blended food as great nutrition for tubies, and have only praise and respect to offer those who feel the same, but it's wise to keep in mind that even though the medical establishment (generalizing outrageously here, but it's pretty close to the truth) is set up against BD, they are not our enemy - nor is canned formula, and those who use it are not just the 'unsaved' yet to be dragged kicking and screaming into your version of common sense and right-thinking. Let's be loving in the way we do it. I know most of us are, most of the time, but it does our cause no end of harm, and hurts others who are in vulnerable places, when we go too far. As in all things, gently is usually best. Really enjoyed this post Big Brother, it's well written, precise, real, simple and generally nice! Liked it.